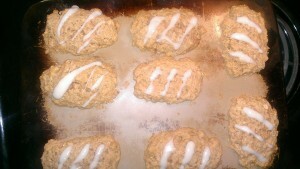 Posts tagged "cinnamon bun scones with cream cheese icing recipe"
I love Facebook! I love to reconnect with old friends, and make new ones. I have written about my high school reunion and how Facebook changed my high school memories, and I have wondered if we are truly honest on Facebook? Another thing I love about Facebook are the recipes. My friend Chanelle is forever sharing yummy looking recipes. 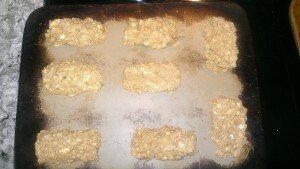 She even has a blog with recipes (which is on my Blog Roll) called The Vegan Virtuos0. She posted this recipe and (as I usually do) I appropriately healthified it (she vaganizes things), and made them. They were DELICIOUS!!! 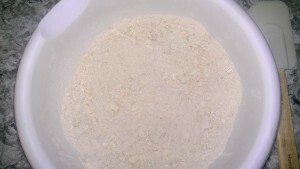 This recipe was adapted from a recipe found on Recipe Girl. These also froze VERY well! 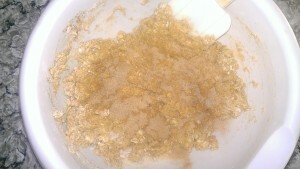 I made a couple of batches and froze them individually so we could defrost them for a yummy breakfast with a banana! or other fruit! 1. Place rack in center of oven. Preheat oven to 425°F. Spray 12x 18-inch pan with nonstick spray (I used Pampered Chef baking stone). 2. In a large bowl, combine flour, oatmeal, 6 packets Truvia, baking powder and salt; mix well. 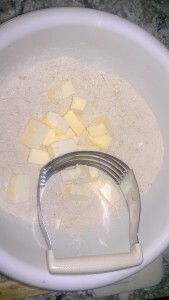 Cut in butter with pastry blender or 2 knives until mixture resembles coarse crumbs. 3. In a small bowl, combine milk, egg and vanilla; blend well. Add to dry ingredients all at once; stir with fork or rubber spatula just until dry ingredients are moistened. 4. In another small bowl, combine remaining Truvia with the cinnamon; mix well. 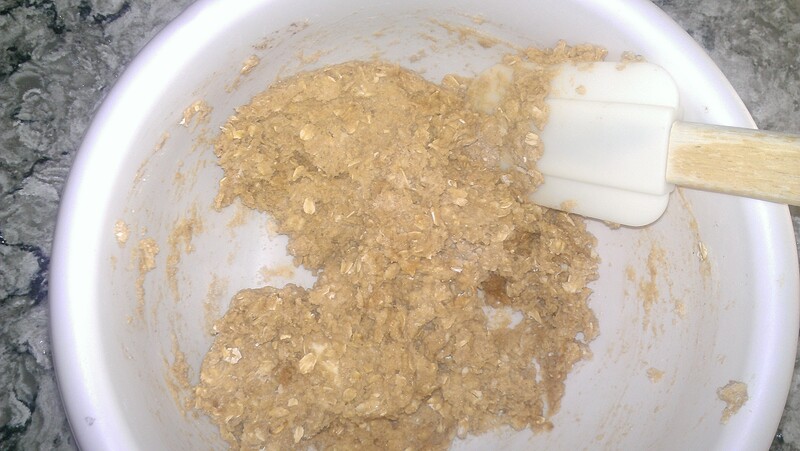 Sprinkle evenly over dough in bowl; gently stir batter to swirl in cinnamon mixture. 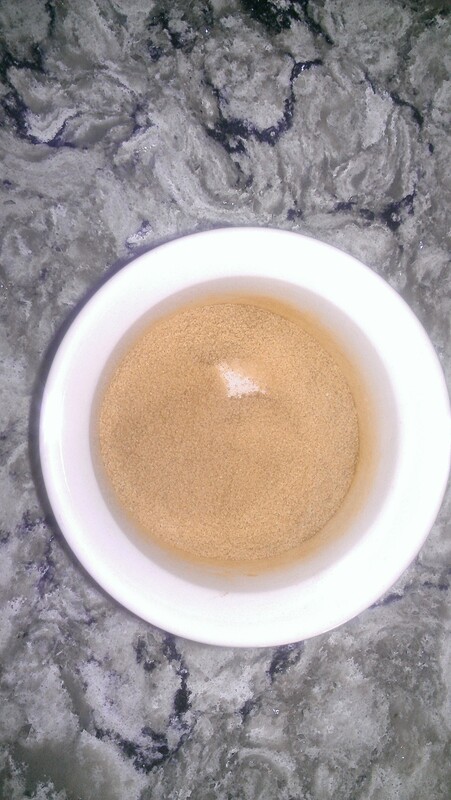 (Do not blend completely). 5. Drop dough by 1/4 cupfuls (or use an ice cream scoop) 2 inches apart on cookie sheet. Bake 11 to 13 minutes or until golden brown. Remove to wire rack; cool 5 minutes. 6. To make glaze: In small bowl, combine powdered sugar, vanilla and enough milk for desired consistency; mix until smooth. Drizzle over tops of warm scones. Serve warm. I made mine into oblong shapes and baked. I was gentle with the icing, but they were TRULY yummy!!! Enjoy these scones. Easy to make and delicious!! !